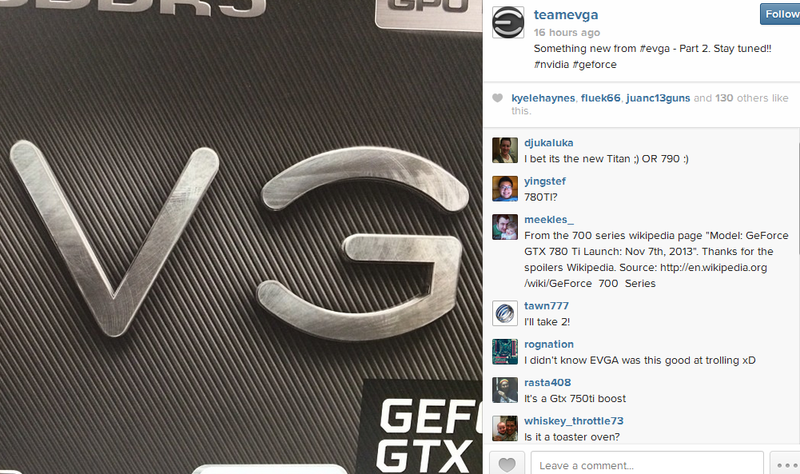 EVGA has been teasing the following picture for quite some time now and we believe we know exactly what it it is. The GTX 780 Ti Launched today and unless we are very much mistaken EVGA will bring out its Superclocked editions to play soon enough. The EVGA GeForce GTX 780 Ti SuperClocked is clocked at 980 MHz, the GPU boost clock is 1046 MHz. 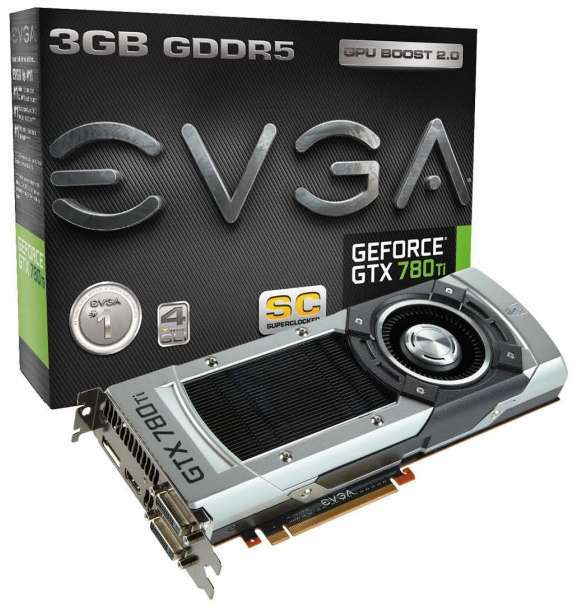 This card is quite a bit faster than the current GTX 780 Tis we have seen. Of course since the Ti utilizes a B1 revision of the Gk110 core and if the No TDP rumors are indeed correct than overclocking will hardly be any worry. Infact if our past overclocked leaks are any indication it should be ridiculously easy to Overclock the GTX 780 Ti.